Feb. 15, 2018 – National Ocean Service Deputy Assistant Administrator Nicole LeBoeuf met Feb. 7, 2018, with key partners of the Rinearson Creek Restoration project in Gladstone, Oregon. 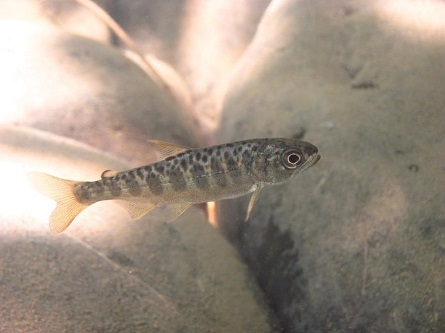 The 33-acre restoration area is being created to bring back riparian, off-channel, and upland habitats for Chinook salmon, lamprey, bald eagle, river otter, and mink, as well as several important amphibian species. The Rinearson Creek project is being developed in connection with a natural resource damage assessment (NRDA) for the Portland Harbor Superfund Site. Releases of oil, PCBs, heavy metals, pesticides, and other hazardous substances contaminated the Portland Harbor site, adversely affecting habitats, fish, and wildlife. 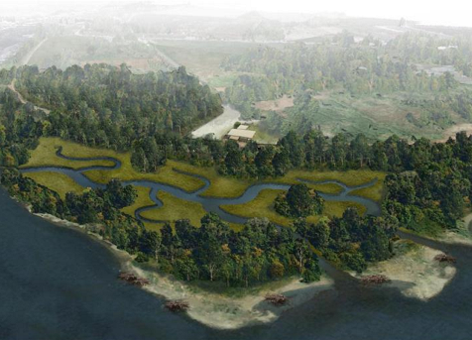 Developed prospectively by a private company, the Rinearson Creek project will provide “credits” for Portland Harbor natural resource damages settlements through an innovative restoration banking process. “NOAA is committed to working with private companies, local government, and local communities to restore natural resources such as Rinearson Creek and Portland Harbor for the benefit of the public and the economy,” said LeBoeuf. LeBoeuf joined the restoration developer, project managers, and implementers for the site tour. The restoration began in 2017 and should be completed this year. (From left) Megan Callahan Grant, Restoration Center, NMFS Office of Habitat Conservation (Portland), Bill Duggan, Robinwood Riverie Homeowners Association, Nicole LeBoeuf, NOAA National Ocean Service, Gary Howard, Columbia Restoration Group, and Bobby Proutt, Falling Springs. NOAA photo. For more information, visit the Damage Assessment, Remediation, and Restoration Program website. Artist's rendering depicting what the Alder Creek Restoration Project will look like after construction along Oregon's Willamette River. Image courtesy of Wildlands.